Alexandra V. Georgetti is a Long Island native who graduated from the College of Charleston where she received her Bachelors of Science in Biology. She originally wanted to become a Veterinarian but after much trial and error, realized that her true passion was in law. She received her Juris Doctor from Florida Coastal School of Law, where she graduated with honors. Alexandra is licensed to practice in the State of New York as well as the Eastern and Southern Districts of New York. She is an active member of the New York State Bar Association, the Suffolk County Bar Association and the American Association for Justice. 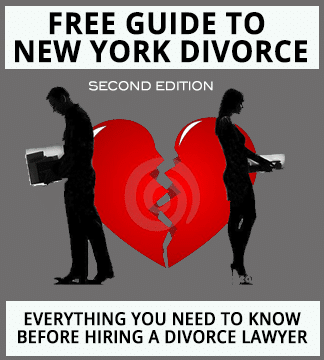 Alexandra recently joined the divorce law firm of Hornberger Verbitsky, P.C. after working in the fields of Personal Injury and Mass Torts for several years. Her first legal experience was in Criminal Law where she did an externship at the Suffolk County District Attorney’s Office working as a Junior Assistant District Attorney. After much contemplation about what field of law she would be best suited for, Alexandra realized that her compassion and desire to want to help others would serve her well in the field of matrimonial law. As a child of divorce, Alexandra is able to empathize with clients during what can be a very complex and emotional time. Her passion is being able to help clients transition through this process as smoothly as possible.